After five races and four podiums, Kimi heads to Monaco a tantalising four points off the Drivers’ Championship lead. As our Iceman explains, the challenge of Monaco is quite different from that of the circuits seen so far this season. Q: You must be feeling pretty good with your championship position and the performance of the car this season? KR: Well, we’re not in first place so we can’t be too happy. For sure it’s not a nightmare, but we’ve still got a lot of races yet to come and anything can happen in Formula 1. Monaco is a different challenge, so we’ll have to see what happens there this year. Q: Last year’s Monaco Grand Prix was not one of the team’s better outings, so you’ll be hoping for better this year? KR: We certainly won’t make the mistakes we made last time. There were a few things we didn’t do right over the weekend and we suffered because of that. Sometimes that’s the way it goes, but the important thing is not to make the same mistakes again. Q: How do you define the Monaco Grand Prix? KR: It’s useless to put races in different categories, because all of them are as important as each other if you want to win a Championship. However, as a real special race there is nothing like Monaco; there is no better feeling than to get things going well there. To race in the streets of Monte Carlo is really different from everywhere else and it’s a challenge I look forward to every year. It is very, very difficult – almost impossible in fact – to have a clean weekend down there. Q: You won in Monaco in 2005; how did that feel? KR: I’ve only managed to get it right once before and you really experience the greatest feeling you can get by winning it. My win in 2005 ranks up there with my most memorable, so to win it again would be just as special. Q: What’s the challenge behind the wheel? KR: It’s such a narrow, twisty track; you have to be extra sharp and focused through every single metre. It gives such a good feeling; a fast lap around Monaco. Overtaking is almost impossible, so to really enjoy racing there you have to be in the front. Q: What about the atmosphere? Q: What’s your approach to the weekend? KR: We have to focus on qualifying. It’s a difficult place to race as it’s so narrow and – as I said before – passing is nearly impossible. I was stuck behind Rubens [Barrichello] in 2009 and we had KERS then, but you just couldn’t get past. We’ll have to see how the tyres perform and if there are any good strategies to be made, but the most important thing is to qualify well. It’s difficult to know how good the car will be in Monaco as you can’t simulate its characteristics; certainly not at any of the circuits we’ve visited so far this year anyway. We can say the E21’s been fast everywhere else so let’s hope it’s also fast there. Q: With qualifying so important, is it a worry that this doesn’t seem to be one of the E21’s strongest areas? KR: We’ll do the best we can, but of course everyone will be trying to be on the front row. It’s not impossible for us, but we won’t know how good we are until we get there. We know that tyre changes have to be made so there are opportunities if you run a different strategy to your rivals, but it’s certainly more difficult here than anywhere else. 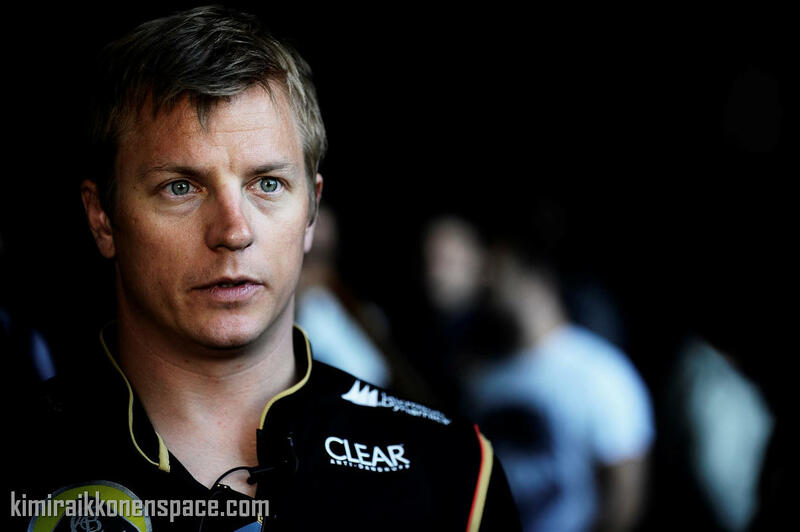 Lotus is heading to the Monaco Grand Prix confident it has made the steps it needed to with its qualifying pace. The narrow confines of the Monte Carlo street circuit always puts a premium on grid position, with Lotus an outfit that has sometimes struggled to extract single-lap performance from its car. After a difficult Monaco last year, Lotus’ trackside operations director Alan Permane thinks the situation should be better this time around, although admits the outfit is not taking anything for granted. “It’s no secret that this is an area we’ve been looking to improve and we haven’t done a bad job in this regard,” said Permane. “We took a front row slot in China and – disregarding Mercedes – we were less than a tenth from the front runner in Spain. Lotus will be using a high-downforce specification rear wing, as well as an updated front wing and floor modifications in Monaco. Kimi has only won once in Monaco. He who manages to grab pole position there will most likely win the race. Extremely difficult – and risky – to overtake here. However, Pirelli will again play a major role, and I think a number of teams – including Red Bull – will struggle with constant hard braking and sharp corners which is always a factor in any event around the streets of Monte Carlo. Lotus will have to get strategy spot on, and take advantage of Vettel’s huge appetite with his own tyres.